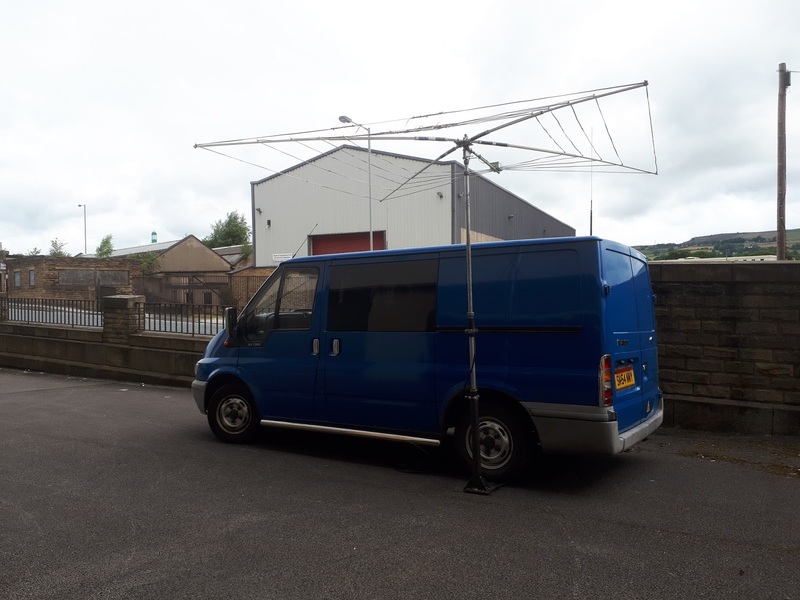 Once again the Keighley college call MX0KSC was active on the amateur radio bands as a group of young engineering students embraced the thrill of talking to another station located on the other side of the planet. I demonstrated how to safely set up my YAESU FT-890 & Cobweb HF antenna. I also used a telescopic mast and drive on base mount that the students made during last week's lesson. After a couple of demonstrations, the Keighley college students were making contacts and calling cq. They got across the Atlantic into New Brunswick. Other great contacts into Europe were made such as Finland, Russia, Romania and Germany. Our station MX0KSC was on the air Thursday and Friday afternoon and two classes took part as well as a few staff. We heard Indonesia but didn't quite manage to get over the stronger stations, however we will be repeating the demonstrations next week again on Thursday and Friday from 13.00 utc with two more groups of young engineering students. Listen out for MX0KSC on 20 meters and get a special QSL. M0YKS - 50 Years Young!